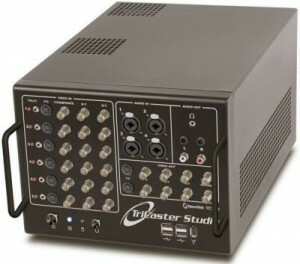 TriCaster to deliver coverage of X Games to fans in the audience and online. NewTek, a worldwide leader of video and 3D animation products, today announced that its signature streaming product, the award-winning TriCaster portable live production system, will be used to produce and live stream extensive coverage of the ESPN Winter X Games 15 from Aspen, CO, from January 27-30. Fans attending the X Games will be able to watch events on the in-venue video boards at various locations in Aspen—streamed exclusively with TriCaster. Fans at home and on-the-go will have access to the all the action, via the TriCaster-powered high definition (HD) live stream at Facebook.com/xgames. Last July, at the summer X Games in Los Angeles, live video streams of the event were available at Facebook.com/xgames on the “X Cast” tab and the X Games live stream page, with content that featured the Skate and BMX Park/street practice, daily “Inside X” show, athlete chats and jumbotron feed. With TriCaster, ESPN produced some 446,398 streams that garnered 2,253,380 viewer minutes and 124,776 unique viewers. With TriCaster, anyone can simultaneously produce, live stream, broadcast, project and record HD and SD network-style productions. 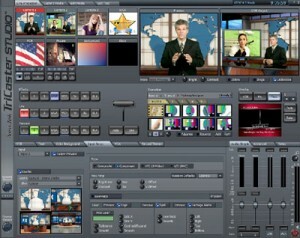 A single operator or small team can switch between multiple cameras, virtual inputs and live virtual sets, while inserting clips, titles and motion graphics with multi-channel effects. In addition to the ESPN X Games, TriCaster is used by sports organizations, broadcasters, schools, houses of worship, government agencies and others to provide a new level of extended programming and content to their audiences. The TriCaster family of products in NTSC is available in North America starting at US$4,995, and multi-standard internationally starting at US$5,995. Educational pricing is also available. For more information, visit www.newtek.com, or call NewTek Sales at 800-368-5441. International callers dial +1-210-370-8000. via NewTek TriCaster to Produce Live Video Streams for Winter X Games 15.